Why Get Fitted For Golf Clubs? Golf Fitness in the Off Season – Recipe For Success! Golf in Australia: 18 holes-4 Days-850 miles!!! A Difficult Par: Robert Trent Jones Sr. When author Mark Broadie went in search of a way to determine the best risk-reward balance he discovered that traditional golf stats did not provide the right kind of information. He decided to develop a new set of stats: the Golfmetrics database. Now with his strokes gained approach golfers both pros and amateurs can judge performance in all areas of the game. Which is easier: a longer uphill putt or a shorter sidehill putt? What is the value of hitting approach shots closer to the hole? Play an aggressive or conservative shot off the tee? In Every Shot Counts, Mark Broadie offers a wealth of information on how golfers can gather the data to help measure his or her performance and identify strengths and weaknesses. You will learn from your mistakes, how to measure the balance of risk and reward for every shot. How to make the best decisions for games on the course. 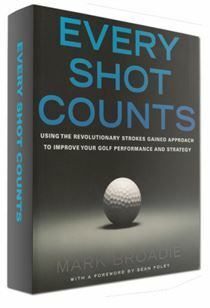 If you enjoy working with stats, measuring and analyzing your improvement in your golf game, than Every Shot Counts is a volume you must have in your library. Published by Gotham Books • Now available in bookstores and online. Similar articles you might enjoy. Your Golf Swing: How Does It Compare With the Pros? 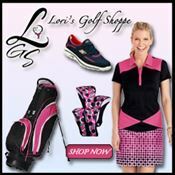 GolfGurls has an affiliate relationship with many of our advertisers. If you purchase an advertised product through our site, you pay the same price you would if you went directly to the manufacturer. At the same time you help support the GolfGurls website. Thanks in advance! Much appreciated. Flop It Like It’s Hot!!! Downhill Golf Shots – How Far Can You Go? 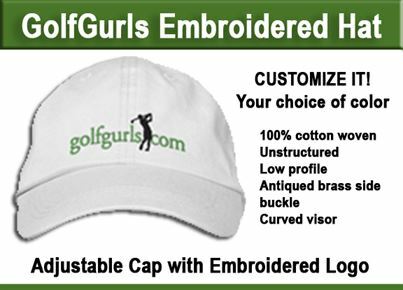 Copyright © 2018 GolfgGurls.com. All Rights Reserved.